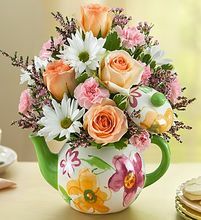 Spring Birthday-love @Romance- Funeral ORDER EARLY ONLINE FOR GUARANTEED DELIVERY SHOP NOW AND DISCOUNT Send with a unforgettable colorful Spring Rose, flowers, Plant, Blooming Arrangement, hand-delivered by a local florist. Open at 1228 N Belt line rd Irving, TX Florist flower shop Irving delivery Irving, Tel: 972-513-9800 Phones Answered 24/7! Shop online ! Spring Roses- Love @ Romance · Open 7/days same day delivery Service Order online delivery! Easy Online Ordering. Same Day Flower Delivery in Irving, Texas Send beautiful Flowers florist To Irving, Texas (TX) Zip Codes: 75014, 75038, 75039, 75060, 75061, 75062, 75063.